Topinambur – What is it? 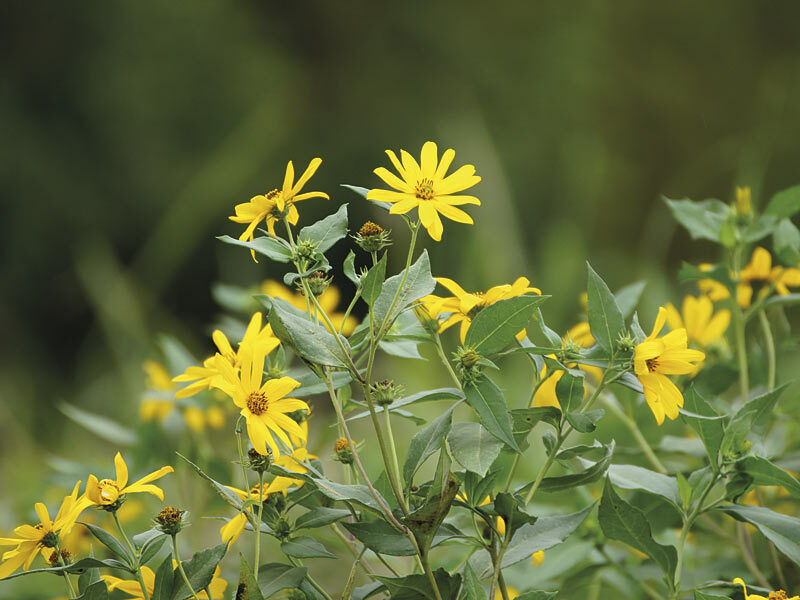 When the golden yellow flowers glow from September till late autumn, there is no way for topinambur to deny its kinship with the sunflower any more. What is harvested, are the topinambur tubers. The "sunroot", as the originally North American plant was also named, was almost completely displaced by the potato during the 18th and 19th centuries. 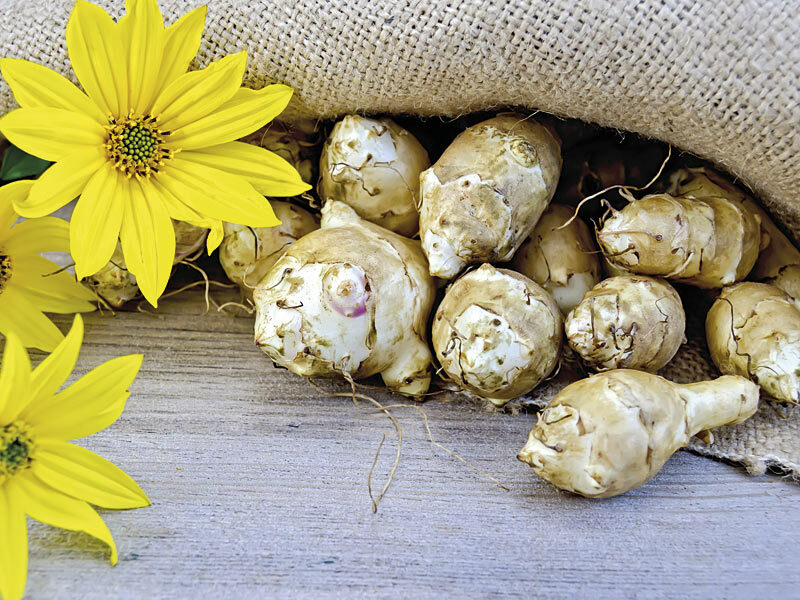 Topinambur, also known as Jerusalem artichoke or sunchoke/sunroot by connoisseurs in Germany, is considered to be one of the most exceptional of all tubers. 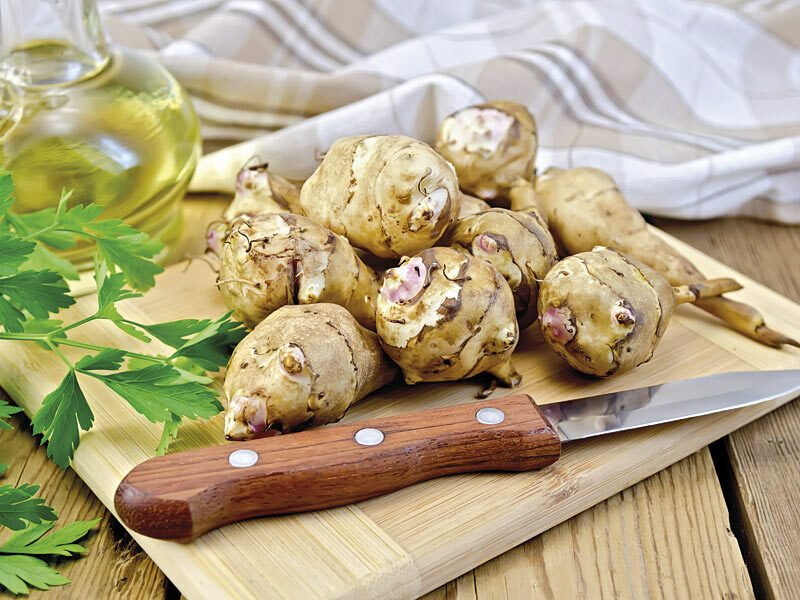 Unlike the potato, the tubers of this Indian crop plant contain no starch nor, unlike the sugar beet, do they contain sugar as an energy storage substance but inulin. The high fructose percentage and its very specific flavours ensure that this product intensifies and refines the taste of sour products. Topinambur is a wild fruit of the daisy family which is grown in Brandenburg/Mecklenburg-Western Pomerania. Above ground it resembles a sunflower and, like the potato, it grows underground tubers. These tubers are harvested with usual potato harvesting technology in late autumn or spring and then undergo a proprietary process at the LIENIG WILDFRUCHTVERARBEITUNG GmbH in Dabendorf, south of Berlin. 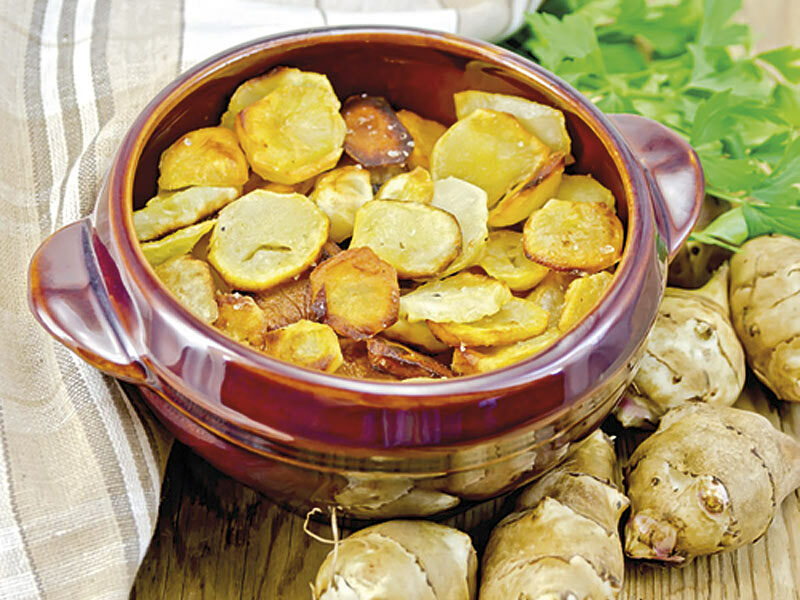 However, unlike the potatoes, the topinambur tubers do not contain starch but inulin. The inulin from the topinambur plant (not to be mistaken for insulin) is a storage carbohydrate found in fructose.